Fairchild Air Force Base (AFB) KC-135 Stratotanker was hard at work refueling six of the U.S. Air Force’s latest fifth-generation fighters, the F-35A Lightning II, over the Pacific Northwest on Oct. 17, 2017. As explained by Senior Airman Janelle Patiño, 92nd Air Refueling Wing Public Affairs, in the article Legacy Stratotanker refuels newest Air Force fighters, the F-35 provides next-generation stealth, enhanced situational awareness and reduced vulnerability for the U.S. and allied nations, but it couldn’t go anywhere or complete any mission without regular fuel-ups from the gas-station-in-the-sky KC-135 Stratotanker. Team Fairchild aircrew perform a walk-around of a KC-135 Stratotanker before flying an air refueling mission at Fairchild Air Force Base, Washington, Oct. 17, 2017. 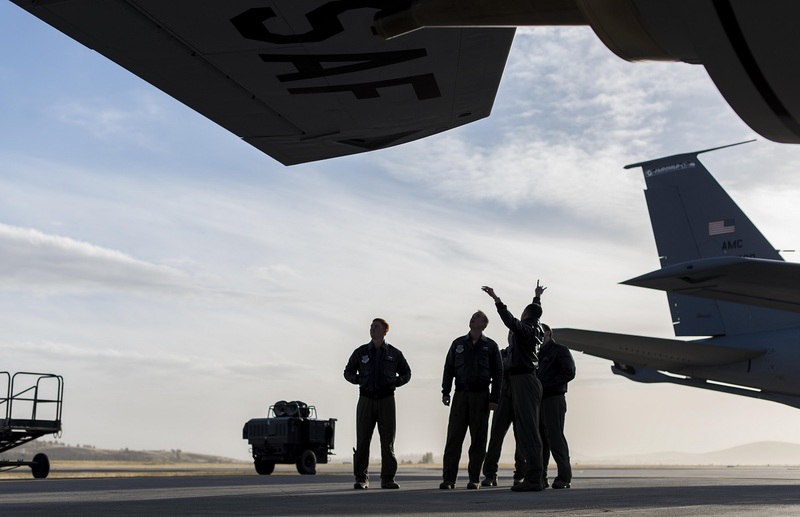 KC-135 allow F-35s longer time en route by providing them timely movement and assisting them responsively, delivering and giving them fuel anywhere on the globe to complete their mission. Capt. 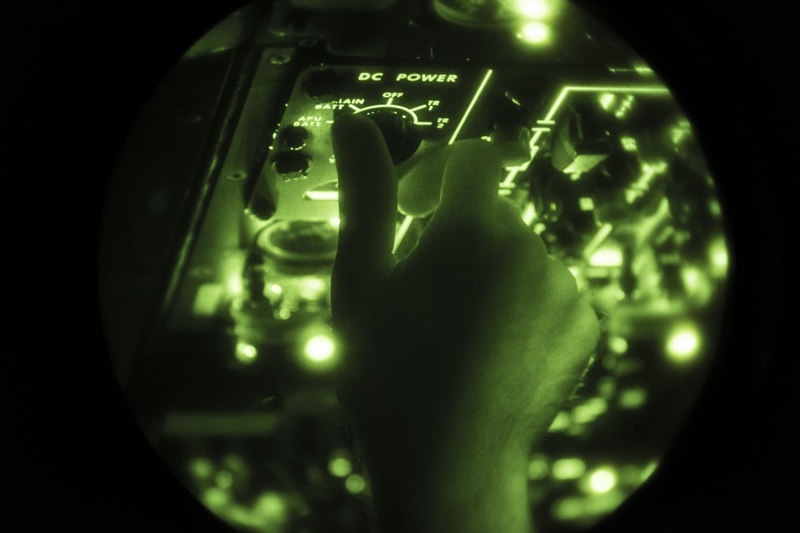 Chad Halverstadt, 93rd Air Refueling Squadron pilot, adjusts the power on a KC-135 Stratotanker during an air refueling mission over the Pacific Northwest Oct. 17, 2017. 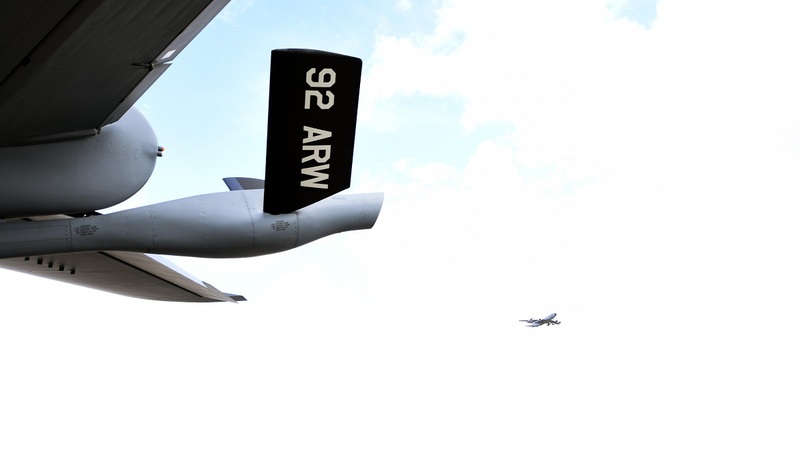 Considering the KC-135 is more than 60 years old, the maintenance and upgrades performed on the aircraft to modernize and improve operational effectiveness and efficiency enables its capacity to deliver effective warfighter support at the right time and place. 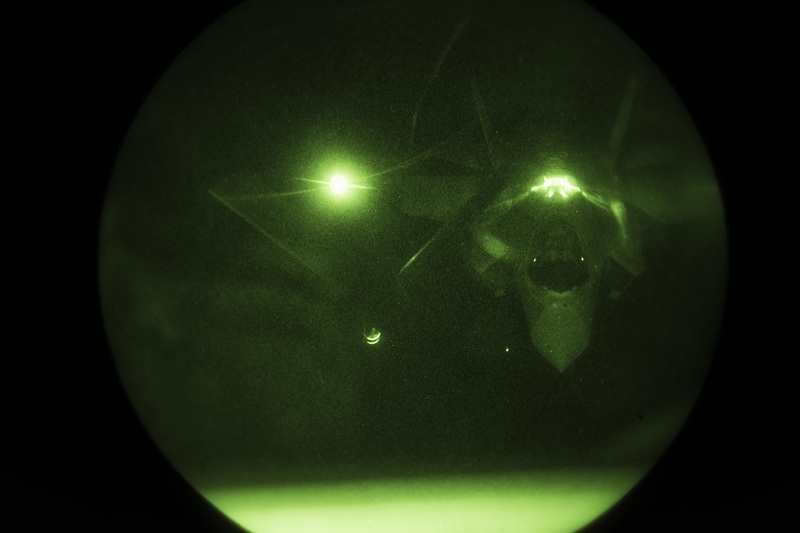 A Fairchild KC-135 Stratotanker refuels a 388th Fighter Wing F-35A Lighting II during a night mission over the Pacific Northwest Oct. 17, 2017. 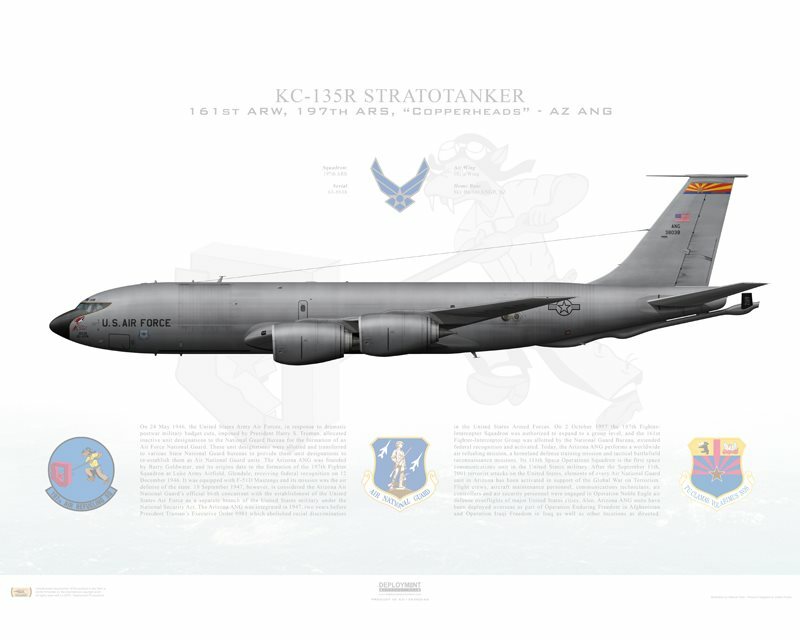 As the 93rd ARS’ motto goes, “Nobody can get any work done without tanker gas.” The KC-135 provides the core aerial refueling capability for the U.S. Air Force and has excelled in this role for six decades.